The Ellis Coffee Table is a stylish, high quality, decorative accent, built to accommodate and enhance a space. 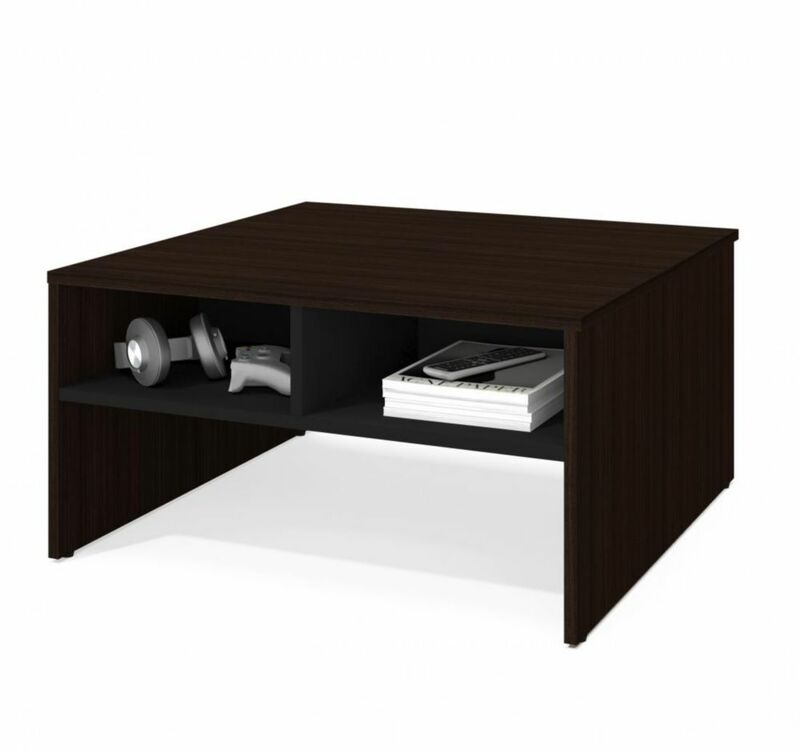 A steel base and dark oak top give the piece an industrial chic design and is perfect for showcasing magazines, books, and floral arrangements in an office or living area. Available in dark oak and black. Mid-Century design at its best, the Jackie 1.0 coffee table offers storage, design, and great style. Featuring two drawers, slightly splayed legs, and built from natural pine, this piece easily allows you to stow away your books, magazines, remotes, family photo albums, to enjoy and never to be misplaced. Display a decorative vase on its smooth finish, favorite coffee table books, or an artful tray and warm scented candle. A coffee table often draws people into your living space, and this one will create the perfect atmosphere. Small Space 29.5-inch Storage Coffee Table - Dark Chocolate & Black Within a compact space, choosing the right pieces of furniture is crucial in order to feel relaxed and comfortable. Maximize every square foot of your room with Bestar's Small Space units! Durable commercial grade top surface with melamine finish that resists scratches, stains and burns. 4 open compartments to keep you organized. Assembly Required.